Houston Chronicle reporter Dane Schiller published one of the strangest tales concerning our cemeteries. (Fake cemetery serves as scarecrow for vagrants) It seems that the owner of a small lot on the corner of Houston Avenue and North Memorial Way was seeking to prevent vagrants from camping on the site and leaving unsightly rubbish there. The rather strange solution was to carefully manicure the grass, fence it in, pile up dirt mounds to look like newly buried graves and install three gravestones sometime in 2012. The rationale was that people would likely respect a cemetery and not trash it. It’s very bad karma to vandalize others’ final resting places. But the tale becomes even more mysterious. First, a man named Johnny Mack Chappell (1954-1996) has a tombstone. However, Chappell is actually interred in Woodlawn Garden of Memories cemetery (1101 Antoine) which is located about six miles west of the fake cemetery. 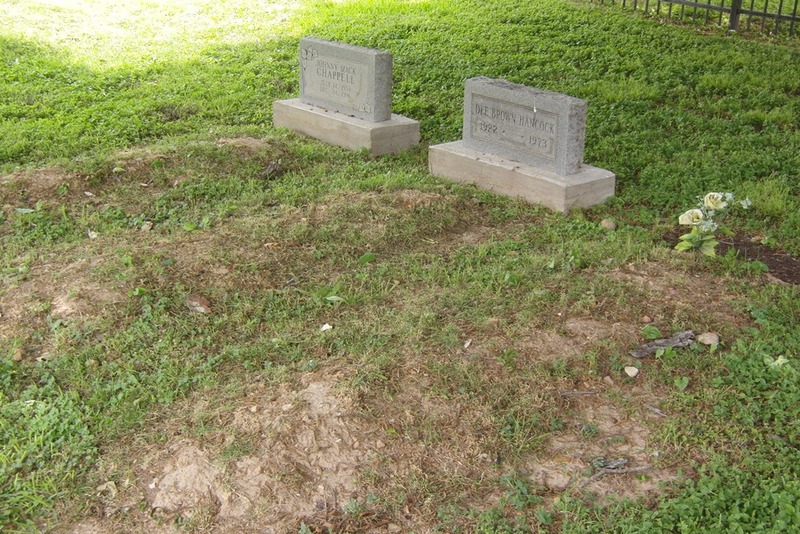 There are two other headstones: Dee Brown Hancock (1922-1973) and Sandra Ruth Howen (1939-1986). They are not buried here either. Muddying the waters even more is that no one knows who these individuals are. Finally, since Schiller published the story (May 15, 2013),Howen’s marker has been removed or stolen. Hopefully, as time passes someone will be able to solve this ghostly mystery.